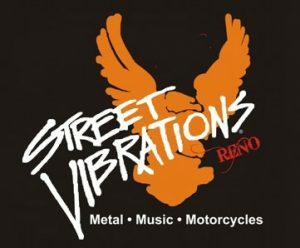 Leather Headquarters will be setting up shop at the 2018 Reno Street Vibrations Spring Rally June 1st – 3rd , 2018 in Downtown Reno, Nevada. This entry was posted in Events, News and tagged Bike Rally, Bike Shows, Biker Gear, Bikers, Carson, entertainment, Events, Harley, Harley-Davidson, Leather, Leather Headquarters, Leather Jackets, Motorcycle, Motorcycles, Music, Nevada, Reno, Reno Events, Reno Street Vibrations, Street Vibrations, Tahoe, Virginia City on May 5, 2018 by Leather Headquarters. 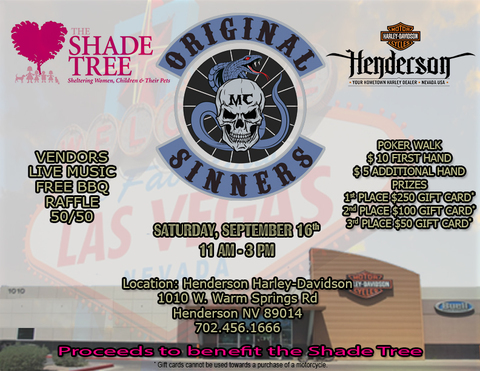 The Original Sinners Motorcycle Club is having a benefit for the Shade Tree at Henderson Harley Davidson on September 16th from 11am – 3pm. Come on by and help the women, kids and pets out, plus win prizes and enjoy live music and free BBQ! 1010 W. Warm Springs Rd. 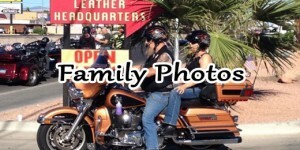 This entry was posted in Events, News and tagged Benefit, Free BBQ, Henderson Harley-Davidson, Live Music, motorcycle club, Nevada, Original Sinners, Shade Tree. 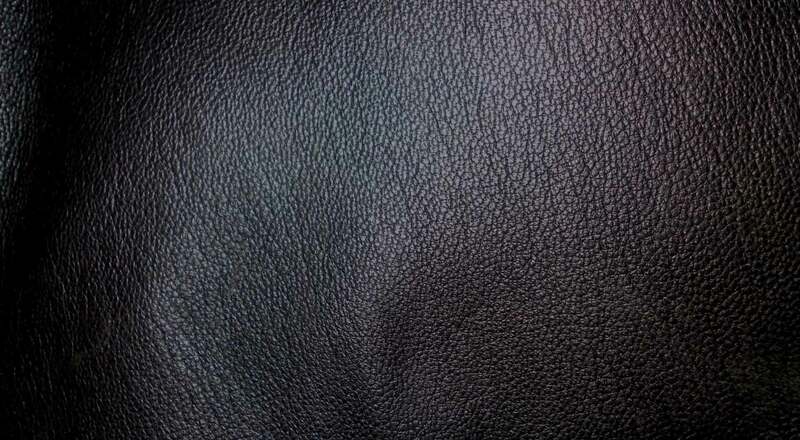 Vendors on September 11, 2017 by Leather Headquarters. Notice the home page has the new 2016 look of a lan ding page with images. Makes it easy to see and navigate. We redesigned the top banner and added our phone number so they are easy to see and use… We still have our slide show of apparel but we added text to the photos.. Then you’ll see eight images of our sections . Leather Apparel is a new section with photos featuring our latest clothes and Gear. We added a Sales page where you can find items on sale.. 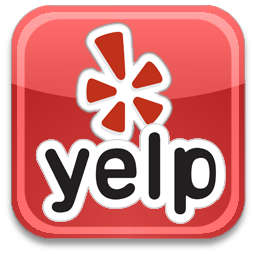 There is a nice image for loca tions to make it easier for you to find us. 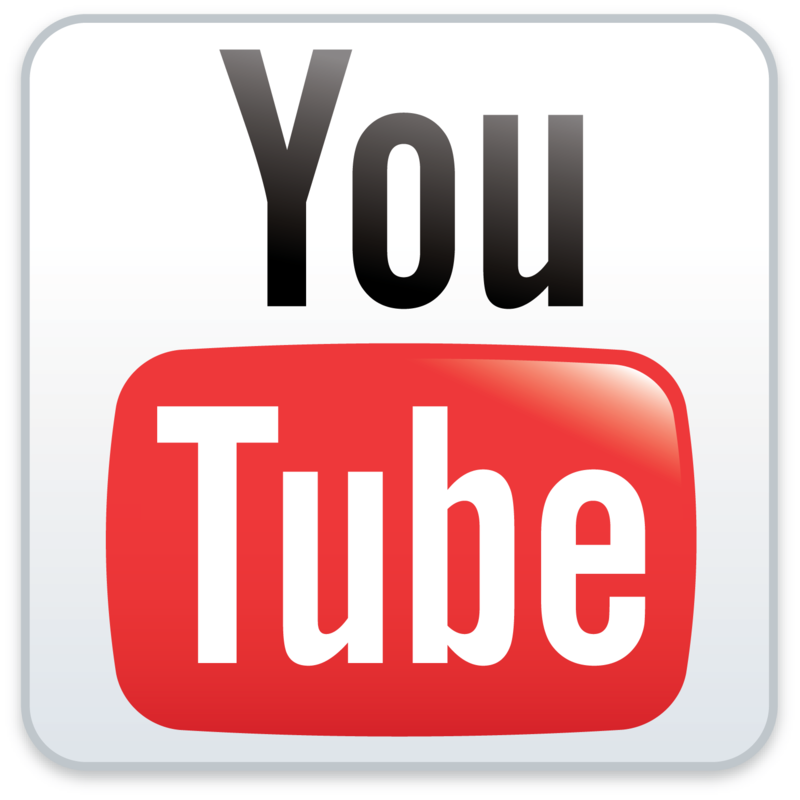 Our video section has been redone with a player and separate images so all you have to do is click on the video you want to see. 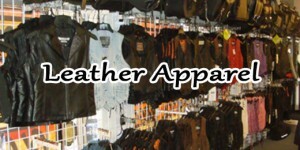 All of our videos are about our clothes and events. 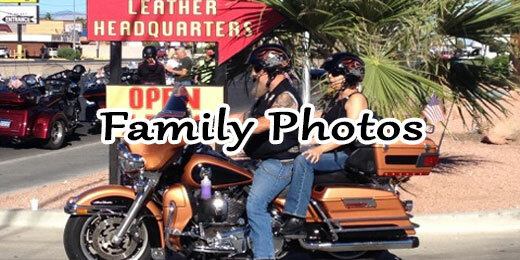 The Family Photos section is new and it is about all of our biker family around the world with photos of all of you who stopped by either at our stores or our booths at an event. 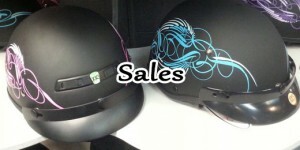 The news and Events image takes you right to our blog and stories . 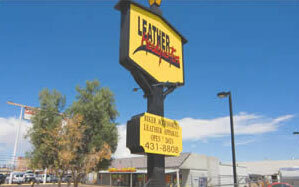 A new Mobile look makes Leather Headquarters more friendly. We did a lot of work to make sure everything can be easily seen on your mobile device. 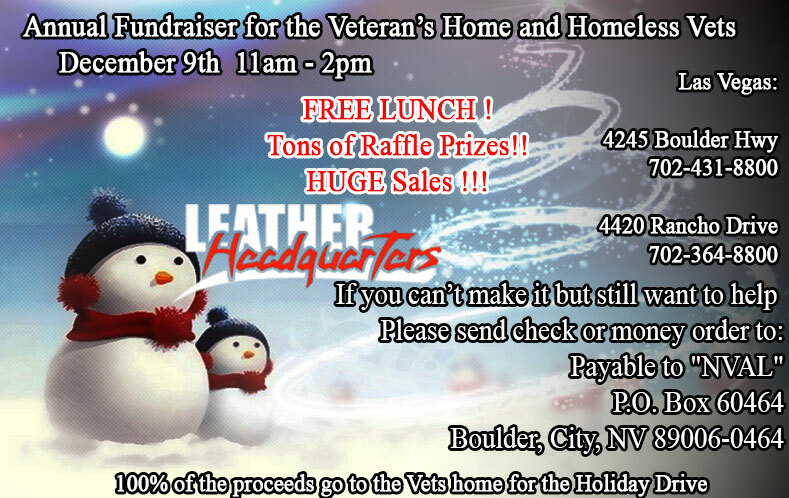 This entry was posted in News and tagged Biker Gear, christmas, Las Vegas, Leather, Leather Headquarters, Leather Jackets, Motorcycle, motorcycle gear, Motorcycles, Nevada, shopping on November 22, 2015 by Leather Headquarters.